October and November are perhaps the best time to look at memory trend for the coming New Year. At this point, the Christmas electronic production rush is probably over. New consumer electronics have already been introduced for the Christmas Season. However, we must caution that the 2009 year end sales Season will be different. This is due to the Lunar New Year falling on February 14, 2010 of the Western calendar. Together with the economic progression in <?xml:namespace prefix = st1 ns = "urn:schemas-microsoft-com:office:smarttags" />China and the recovery of the Pacific Rim economy, the Lunar New Year pre-holiday market cannot be ignored. I am, therefore, predicting that the year end electronic market will carry into January and even early February of 2010. As with demand in electronics, the need for memory, a key component, will also be increased. DDR2 to DDR3 change over. History have taught us that technology alone did not turn people to new generation of memory, it was price parity that prompted the consumer to change. DDR3 memory has been in the laboring stage for the last two years. Manufacturer over capacity had kept DDR2 prices down. Consumer has no incentive to switch to DDR3 memory. 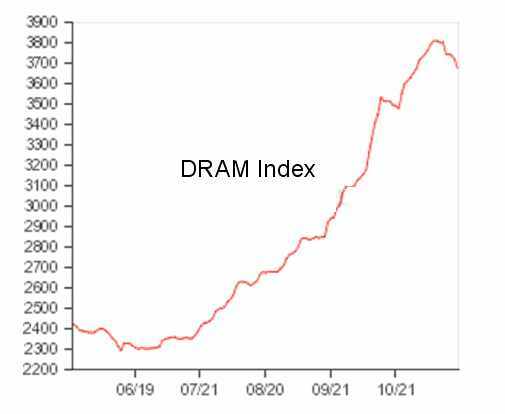 Memory price depression persisted until summer of 2009 when inventory finally tightened and DDR2 prices went from $0.80 to over $2.65 on 1 Gb devices (See DXI index). DDR2 prices had finally surpassed DDR3 in October 2009. I see this price trend will continue until after the Lunar New Year when demand subsides. Window 7, the new Microsoft OS system, was introduced on October 22, 2009. Early report indicates market acceptance double that of Windows Vista. Consumers like the ease-of-use and less intimidation. Considering the fact that majority Corporate USA has not upgraded their OS for 5 years already, PC shipment rate will probably increase. 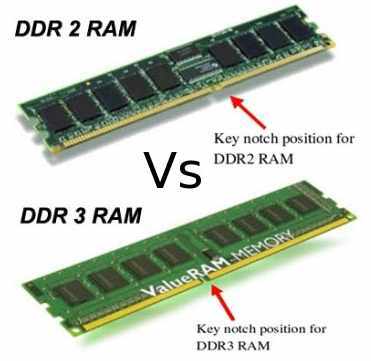 With price parity between DDR2 and DDR3, DDR3 will be adopted very fast. I can see 30% DDR3 by summer 2010 and 50% adoption rate by year end 2010. This would help the DRAM industry to rebuild. As for home PC users, 2010 would be the year to convert from desktop to laptop. We can see that laptops are already outselling desktops in the home computing market. Together with the attractive prices of Netbook and Media Computers, portability will be the seller. With the prices of Netbook at under $200, I am also seeing the computer penetration into the grass root of emerging countries like China and India. We should see PC adaptation rate to grow exponentially in many parts of the world. SODIMM memory module will be the favorite. Smart Phones will create a new demand for memory. Apple iPhone and RIM Blackberry had set the stage and standard for smart phones, Android phones will open the flood gate. 2010 will be the year that smart phones can take hold and become a household necessity. New smart phones use low power LPDDR DRAM for operational memory and NAND Flash for storage memory. Memory consumption will be big and getting bigger. Memory will come in the form of MCP (multi-chip package). That means Nand Flash would be physically stacked over LPDRAM in a complex package. Standards will emerge for these MCP’s to drive costs down. Nand flash geometry is at 32nm going to 22nm. Levels per cell is going from 2 levels to 3 levels and moving towards 4 levels. That means some general purpose USB stick and SD card prices will be reduced. This would generate mass adoption beyond what we have today. Due to the lower reliability of the 3 level and 4 level cells, they will be promoted as the Kodak film equivalent. They will be limited to small re-write cycles or one time usage applications. During 2010, SSD (solid state drive) will progress but would not take quantum laps. This is due to the inherent write reliability issue. Although advance in controller technology has overcome part of the problem, yet it is still expensive and short of perfection. Enterprise systems will use SSD for storage caching to increase access speed and take advantage of this “mostly read” situation. In 2010, server memory configuration will still be the FB-DIMM. More server and greater memory capacity will be demanded by ISP and data operators. On the other hand, they are becoming more power conscious. The new slogan is to drive server and data centers “green”. International standards for power saving servers will be set and adopted. As in increase in server capacity, “cloud computing” push will resurface. Some corporations will go for terminal link to central computing to avoid software maintenance and cost. The result is a new demand for low power, high speed and high capacity memory modules designed especially for servers. We will see DDR3 memory to go from 1.5Volt power supply to 1.35Volt power. The norm for high capacity server modules will be 4 ranks and either 8GB or 16GB per module. 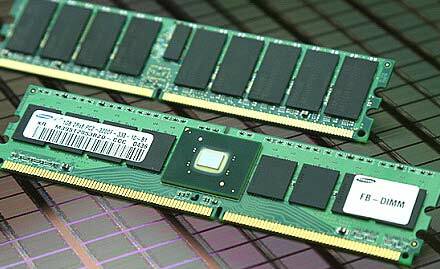 DDR3 multi-rank Registered DIMM will fill the demand for first part of 2010. The new LR-DIMM (load reduced DIMM) will surface at the end of the year replacing the FB-DIMM. This LR-DIMM is different from FB-DIMM by the signal input structure. While the FB-DIMM uses serial protocol, the LR-DIMM uses the stable parallel protocol and thus achieves higher operational frequency while maintaining the same memory density. Although we are just climbing out of a memory depression, the year of 2010 promised to be positive in all aspects. PC volume will grow. Laptops will flourish, Nand flash will find new application while servers will take a new dimension in memory. 2010 is looking to be a good year for the memory industry.